Thank you for those that have supported the petition. It is a slow process that we continue to take. The aim now is to bring everything together and find an avenue to have this submitted to the House and then to a select committee for recommendation. Wellington Free Ambulance (WFA) has a proud and dedicated history of providing free to the patient care to Wellington and the Wairarapa districts. At the core of this commitment have been the generations of Paramedics who have placed themselves in the forefront of service and those who work behind the scenes in what are often under appreciated roles. Their service is often benign of nature, however it can easily change to challenging circumstance where members operate in astute conditions under incredible stress and at personal sacrifice. To this no recognition from Wellington or the nation has occurred. In 1956, members of WFA approached the WFA Board for the inclusion of a Long Service Medal. The Board agreed and this medallic recognition continues today to recognise the service of WFA members and the sacrifices that they endure to provide care to the Wellington and Wairarapa districts and as a contributing service to New Zealand. Unfortunately this recognition is not official in nature and subsequently the comparable service that WFA members have to that of other New Zealand Emergency Service workers is not officially recognised by the New Zealand Government. This petition has been created to support a request to have the medallic recognition that has been awarded by the WFA Board, recognised by New Zealand, with the proposal that the Prime Minister authorises the wearing of the WFA Long Service Medal as an official medal in the New Zealand Order of Wear. We ask the House of Representatives to consider that the service conducted by members of Wellington Free Ambulance is comparable to other emergency services who are officially recognised for their Long Service and in doing so consider the inclusion of the Wellington Free Ambulance Long Service Medal in the official New Zealand Order of Wear as recognition of the valued service to Wellington, Wairarapa and New Zealand. 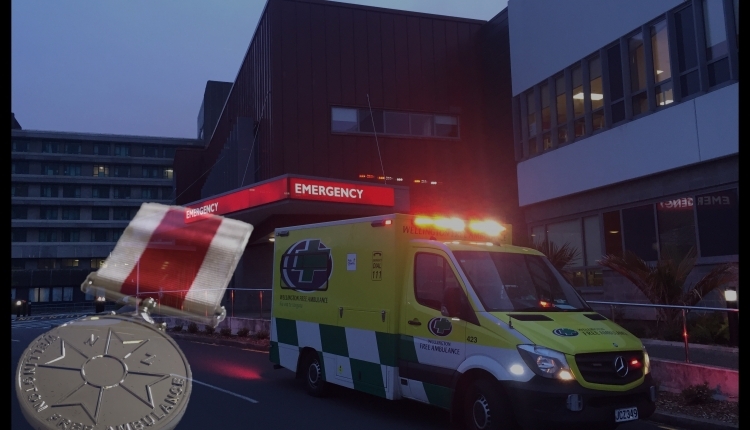 The Official recognition of Wellington Free Ambulance Long Service Medal petition to New Zealand House of Representatives was written by Aaron Williams and is in the category Honours and Awards at GoPetition.